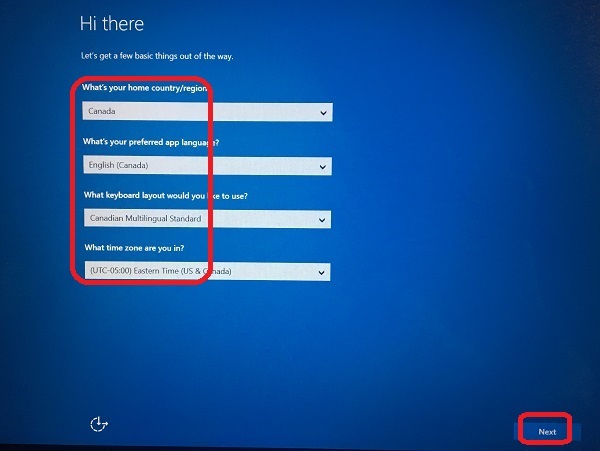 How to finish the quick setup for Windows 10 to check for updates? 1. Read the message on the screen: "Hi here, Let's get a few basic things out of the way." What's your preferred app language? What keyboard layout would you like to use? 3. Hit the "Next" button. Your computer will use the information to prepare for Internet connection. See the next tutorial.